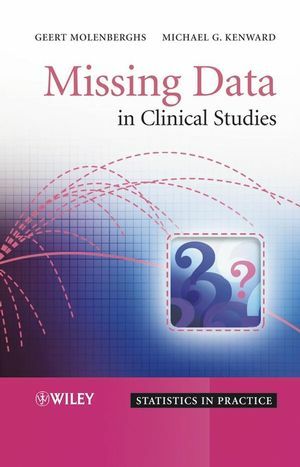 Missing Data in Clinical Studies provides a comprehensive account of the problems arising when data from clinical and related studies are incomplete, and presents the reader with approaches to effectively address them. 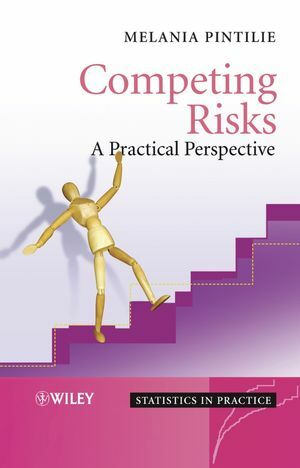 The text provides a critique of conventional and simple methods before moving on to discuss more advanced approaches. The authors focus on practical and modeling concepts, providing an extensive set of case studies to illustrate the problems described. 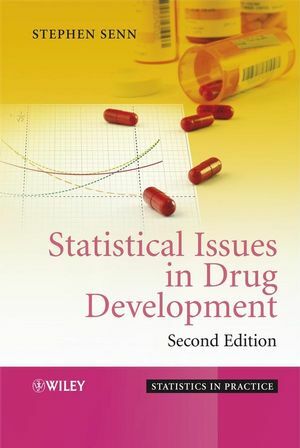 Provides a practical guide to the analysis of clinical trials and related studies with missing data. Examines the problems caused by missing data, enabling a complete understanding of how to overcome them. Presents conventional, simple methods to tackle these problems, before addressing more advanced approaches, including sensitivity analysis, and the MAR missingness mechanism. Illustrated throughout with real-life case studies and worked examples from clinical trials. Details the use and implementation of the necessary statistical software, primarily SAS. Missing Data in Clinical Studies has been developed through a series of courses and lectures. Its practical approach will appeal to applied statisticians and biomedical researchers, in particular those in the biopharmaceutical industry, medical and public health organisations. Graduate students of biostatistics will also find much of benefit. Geert Molenberghs and Michael Kenward are the authors of Missing Data in Clinical Studies, published by Wiley. 1.1 From Imbalance to the Field of Missing Data Research. 1.2 Incomplete Data in Clinical Studies. 1.3 MAR, MNAR, and Sensitivity Analysis. 1.4 Outline of the Book. 2.3 The Orthodontic Growth Data. 2.4 Mastitis in Dairy Cattle. 2.8 Age-Related Macular Degeneration Trial. 2.10 The Slovenian Public Opinion Survey. II Classical Techniques and the Need for Modelling. 4 A Perspective on Simple Methods. 4.3 Problems with Complete Case Analysis and Last Observation Carried Forward. 4.4 Using the Available Cases: a Frequentist versus a Likelihood Perspective. 5 Analysis of the Orthodontic Growth Data. 5.2 The Original, Complete Data. 5.5 Example SAS Code for Multivariate Linear Models. 5.6 Comparative Power under Different Covariance Structures. 6 Analysis of the Depression Trials. 6.1 View 1: Longitudinal Analysis. 6.2 Views 2a and 2b and All versus Two Treatment Arms. III Missing at Random and Ignorability. 7 The Direct Likelihood Method. 7.2 Ignorable Analyses in Practice. 7.3 The Linear Mixed Model. 7.4 Analysis of the Toenail Data. 7.5 The Generalized Linear Mixed Model. 8.6 Calculation of Precision Estimates. 9.4 Inference under Multiple Imputation. 9.7 Some Roles for Multiple Imputation. 10.3 Generalized Estimating Equations for Marginal Models. 10.4 Weighted Generalized Estimating Equations. 11 Combining GEE and MI. 11.2 Data Generation and Fitting. 11.4 An Asymptotic Simulation Study. 12.2 Information and Sampling Distributions. 12.5 Implications for Standard Software. 12.6 Analysis of the Fluvoxamine Trial. 12.7 The Muscatine Coronary Risk Factor Study. 13 Analysis of the Age-Related Macular Degeneration Trial. 13.2 Direct Likelihood Analysis of the Continuous Outcome. 13.3 Weighted Generalized Estimating Equations. 13.4 Direct Likelihood Analysis of the Binary Outcome. 14 Incomplete Data and SAS. 14.3 Last Observation Carried Forward. IV Missing Not at Random. 15.2 The Diggle–Kenward Model for Continuous Outcomes. 15.3 Illustration and SAS Implementation. 15.4 An MNAR Dale Model. 15.5 A Model for Non-monotone Missingness. 16.2 A Simple Gaussian Illustration. 16.4 Strategies to Fit Pattern-Mixture Models. 16.6 Pattern-Mixture Analysis of the Vorozole Study. 16.7 A Clinical Trial in Alzheimer’s Disease. 16.8 Analysis of the Fluvoxamine Trial. 18.2 Brown’s Protective Estimator for Gaussian Data. 18.3 A Protective Estimator for Categorical Data. 18.4 A Protective Estimator for Gaussian Data. 19 MNAR, MAR, and the Nature of Sensitivity. 19.2 Every MNAR Model Has an MAR Bodyguard. 19.3 The General Case of Incomplete Contingency Tables. 19.4 The Slovenian Public Opinion Survey. 19.5 Implications for Formal and Informal Model Selection. 19.6 Behaviour of the Likelihood Ratio Test for MAR versus MNAR. 20.2 A Range of MNAR Models. 20.4 Analysis of the Fluvoxamine Trial. 21 Regions of Ignorance and Uncertainty. 21.2 Prevalence of HIV in Kenya. 21.4 Models for Monotone Patterns. 21.5 Models for Non-monotone Patterns. 21.6 Formalizing Ignorance and Uncertainty. 21.7 Analysis of the Fluvoxamine Trial. 21.9 The Slovenian Public Opinion Survey. 22 Local and Global Influence Methods. 22.3 Mastitis in Dairy Cattle. 22.4 Alternative Local Influence Approaches. 22.5 The Milk Protein Content Trial. 22.6 Analysis of the Depression Trials. 22.7 A Local Influence Approach for Ordinal Data with Dropout. 22.8 Analysis of the Fluvoxamine Data. 22.9 A Local Influence Approach for Incomplete Binary Data. 22.10 Analysis of the Fluvoxamine Data. 23 The Nature of Local Influence. 23.3 Analysis and Sensitivity Analysis of the Rats Data. 23.4 Local Influence Methods and Their Behaviour. 24 A Latent-Class Mixture Model for Incomplete Longitudinal Gaussian Data. 24.3 The Likelihood Function and Estimation. 24.6 Analysis of the Depression Trials. 25 The Age-Related Macular Degeneration Trial. 25.1 Selection Models and Local Influence. 26.2 Exploring the Vorozole Data. 26.3 A Selection Model for the Vorozole Study. 26.4 A Pattern-Mixture Model for the Vorozole Study.